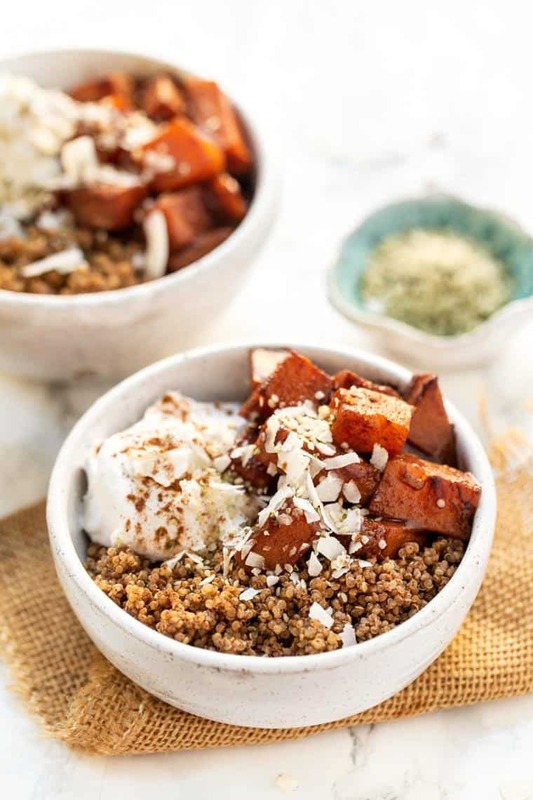 These healthy quinoa breakfast bowls are served with warm caramelized butternut squash, cinnamon quinoa and a dollop of yogurt. They’re healthy and delicious! With the weather dipping into the negatives last week, I was craving warm and cozy breakfast bowls. 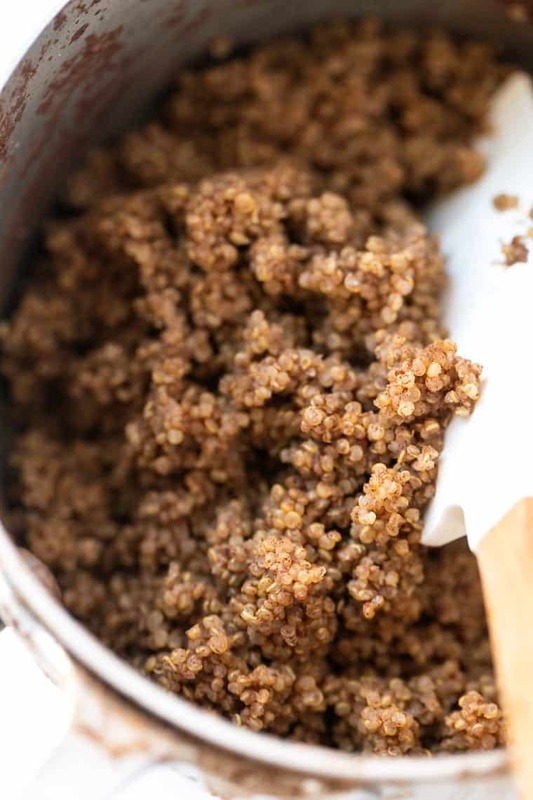 By now you know of my obsession with eating quinoa for breakfast, so I decided to whip up a big batch of quinoa that I could enjoy for breakfast all week long. And since I’m a sweets-for-breakfast kind of girl, I also wanted to cook up some fruit to serve with my quinoa. Only trouble? I didn’t have any fruit! My solution…butternut squash. 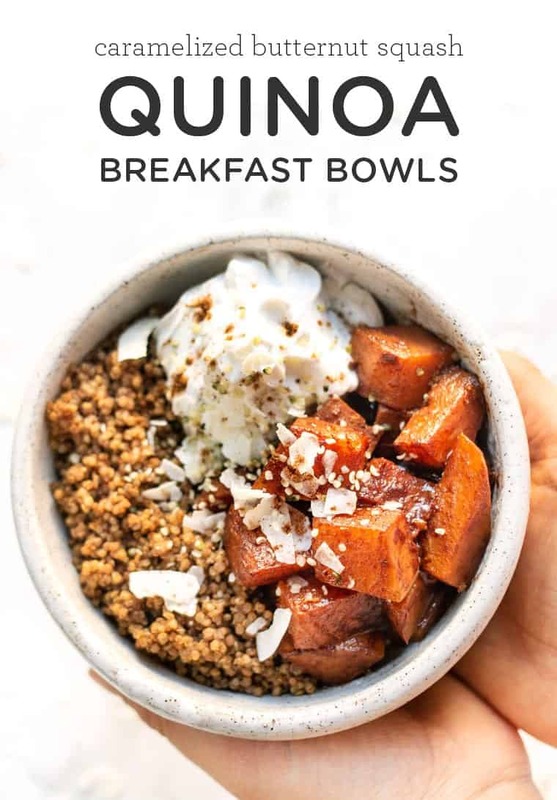 I wasn’t sure how I was going to feel about it, but holy moly this quinoa breakfast bowl is INCREDIBLE! First, let’s chat quinoa and quinoa nutrition. Specifically my newest obsession: sprouted quinoa from Thrive Market. For a lot of people and me included sometimes, grains can be hard on the digestive system. They either cause bloat, gas, an upset stomach or a mixture of the three. I long heard the benefits of eating sprouted grains for digestion rather than just the standard grains you buy at most stores. 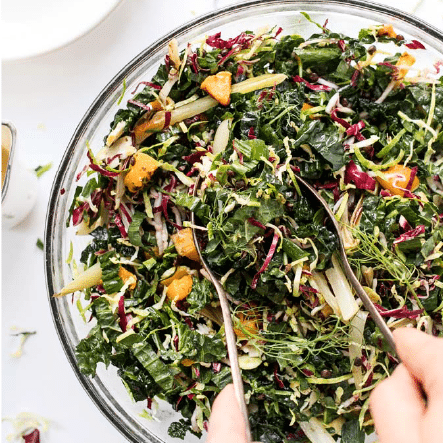 When things are sprouted, there are enzymes in the plant that get activated and make it more nutrient-available as well as easier on the digestive system. But finding sprouted grains can be difficult as well as expensive. Until now! I'm one of those people that really enjoys grocery shopping, but the stores I shop at locally – Whole Foods and Fairway – aren't cheap. Especially for specialty ingredients like sprouted grains, superfood powders, flours, etc. That's where I turn to the internet. 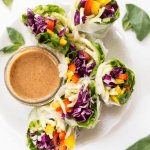 One of my favorite places to shop for groceries online is Thrive Market. You have probably heard me talk about them before on my YouTube channel and on the blog, but it's because they have a huge variety to choose from and really great prices. I've recently fallen in love with their Thrive Market branded products. 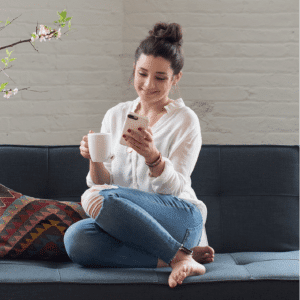 Not only are these items even more cost-effective, but they also have some really unique products to choose from. For example, their line of sprouted grains and sprouted flours. Everything from sprouted quinoa, to popcorn and all sorts of sprouted flours. I know butternut squash might not feel like a classic breakfast ingredient, especially when it's sweet, but it's simply amazing. Butternut squash is one of the sweeter vegetables and pairs really well with warm spices like cinnamon. 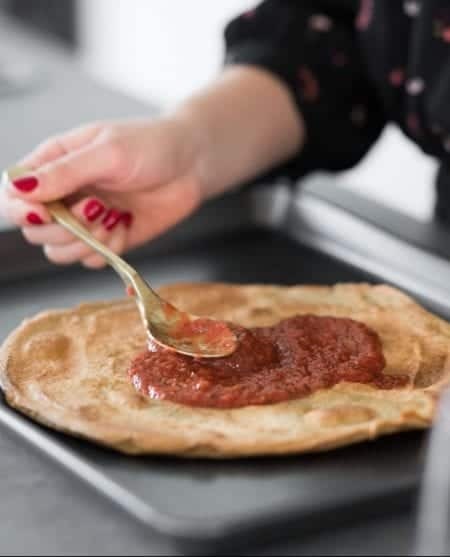 We've caramelized other fruit on the blog before – like bananas and apples – so I used a similar method to that. Gave the squash a quick steam so it's nice and soft when you bite into them, and then we saute them with coconut oil and maple syrup. As the squash cooks, the sugar in the syrup starts to caramelize and it results in an insanely delicious treat. I think this butternut squash is going to make even squash lovers become converts! Now that you know what we're working with for the sweet factor, let's talk about what else is in our quinoa breakfast bowls! 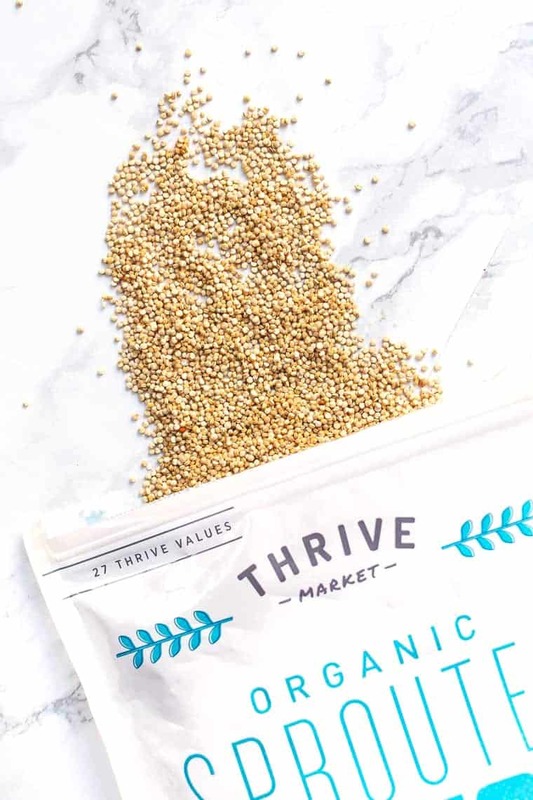 To start, we're using the Thrive Market sprouted quinoa and I gotta say, I absolutely love it. It's nutty, it's fluffy and it's really fabulous mixed with some cinnamon. Since I do love sweet breakfasts, we're keeping on the sweeter side, but aren't actually adding much sugar. I personally like to combine cooked quinoa with some sort of warm fruit and also something tangy. I find it has a really nice balance of sweet, as well as textures and flavors. 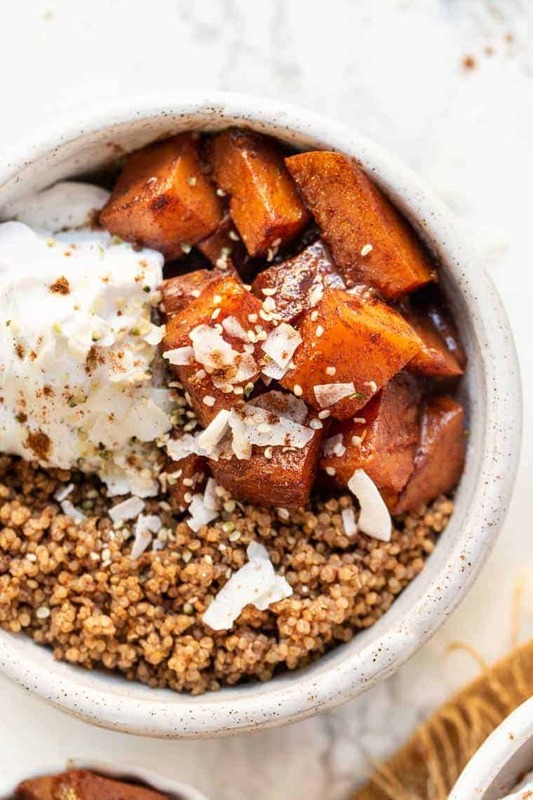 So for these quinoa breakfast bowls, we're cooking the quinoa with some almond milk and cinnamon. It makes it creamy and nicely flavorful. 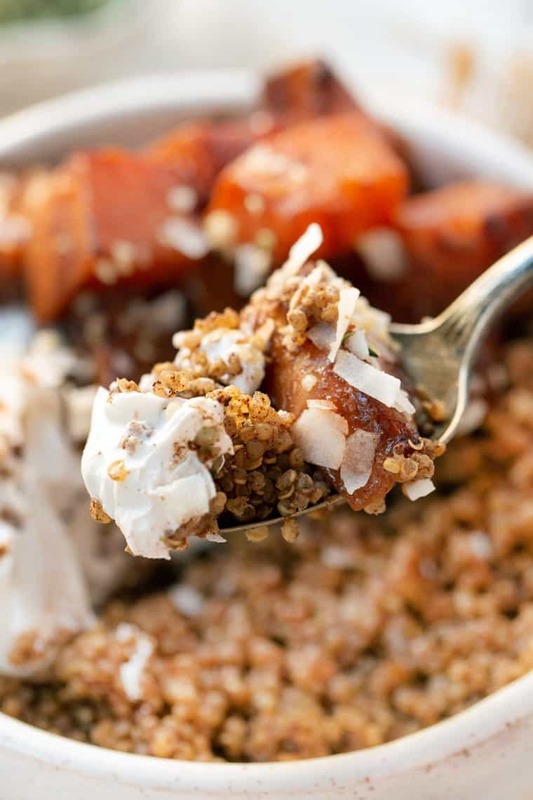 Then we're adding in some creamy, probiotic-rich coconut yogurt and of course our caramelized butternut squash! Since we are on the sweeter side with this breakfast, I always try to make sure that I'm eating a meal that is balanced. Too much sugar in the morning and you'll end up sending your blood sugar on a crazy roller coaster ride all day long. Overall this breakfast is nutritious and delicious! It might be unconventional, but once you try it you'll be hooked. 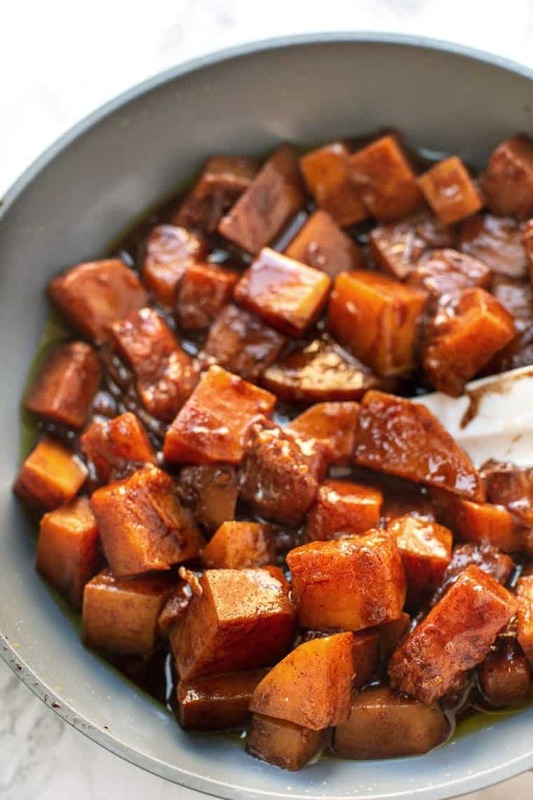 It's a really fun and unique way to enjoy butternut squash and it's also a great option for those who are trying to avoid a ton of sugar/fruit. 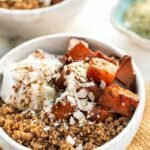 These easy quinoa breakfast bowls are served with warm, caramelized butternut squash and probiotic-rich yogurt. They're filling, nourishing and delicious! Make the quinoa: add the quinoa, almond milk, and cinnamon into a small saucepan. Bring to a bowl, cover and reduce to simmer for 15 minutes. Remove lid, fluff with a fork and set aside. Make the squash: add the squash and 2 tablespoons of water into a skillet. Heat the water until it's steaming, cover and cook for 10 minutes. Remove the lid and add the coconut oil, syrup and cinnamon. Cook for another 5 minutes or so until the butternut squash is starting to caramelize. To serve: divide the quinoa evenly between two bowls. Top with 1/4 cup of yogurt and half of the butternut squash. Sprinkle with coconut flakes and hemp seeds and enjoy! What kind of coconut yogurt do you love? I buy So Delicious brand Vanilla but not sure it has the greatest probiotics (and it contains a fair amount of sugar). The plain flavor was horrible. I’ve heard you mention Coyo. They sell this at Mom’s Market. What flavor if that’s your coconut yogurt of choice? I absolutely LOVE Coyo! It’s by far the best yogurt I’ve ever tasted 🙂 It’s definitely a little rich, but it’s so flavorful and also clean which I love!